The original. Now better than ever. Durable and comfortable, the Newport started it all: sandals that also protect your toes. 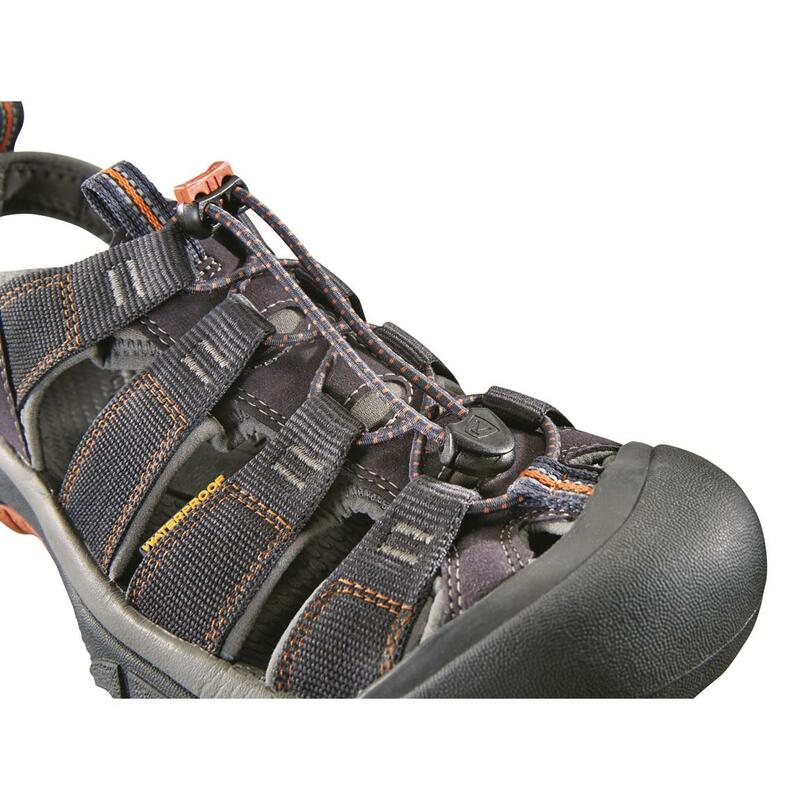 And with the creation of this new type of footwear, KEEN® revolutionized the industry with an innovative style that symbolizes true outdoor adventure. 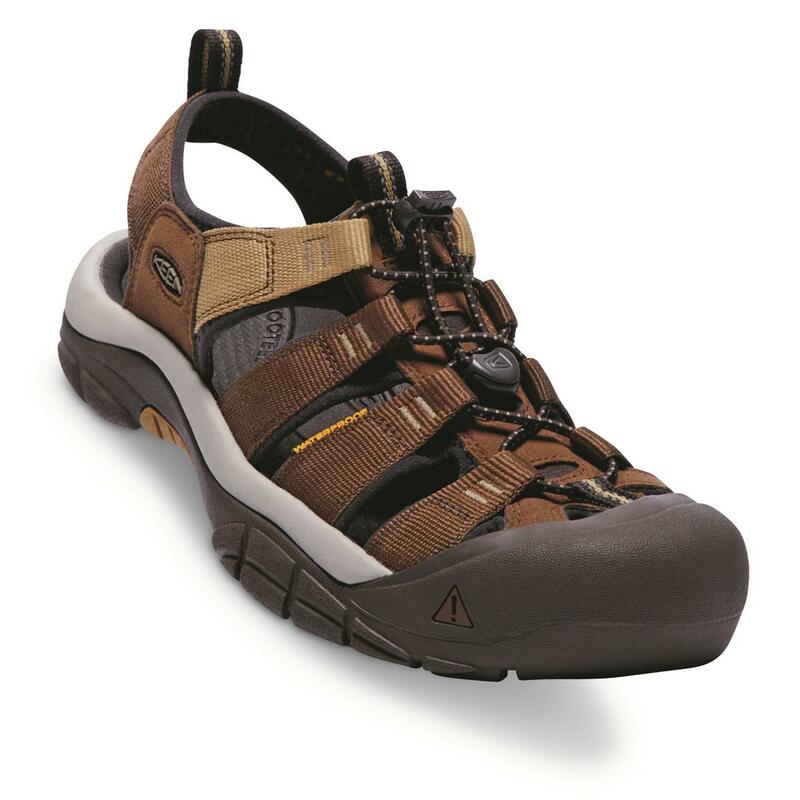 But even better, they perfected it, with a premium design that delivers comfort and protection for anywhere you roam, by land or water. Sure, these are technically “sandals”. 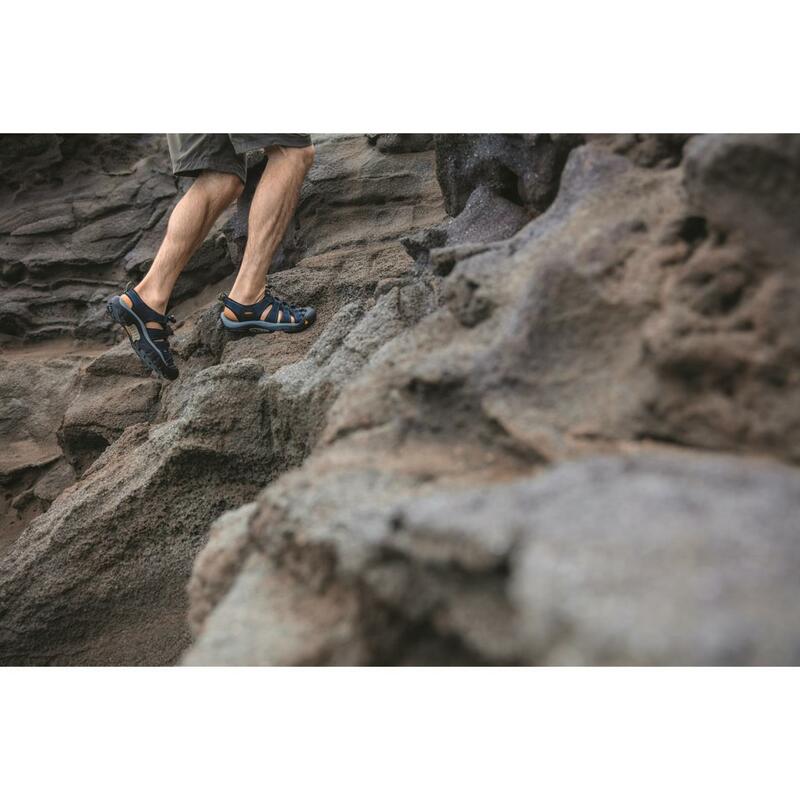 But these are tough customers, featuring the legendary KEEN.Protect wraparound rubber outsole that guards your toes from the perils of adventure. 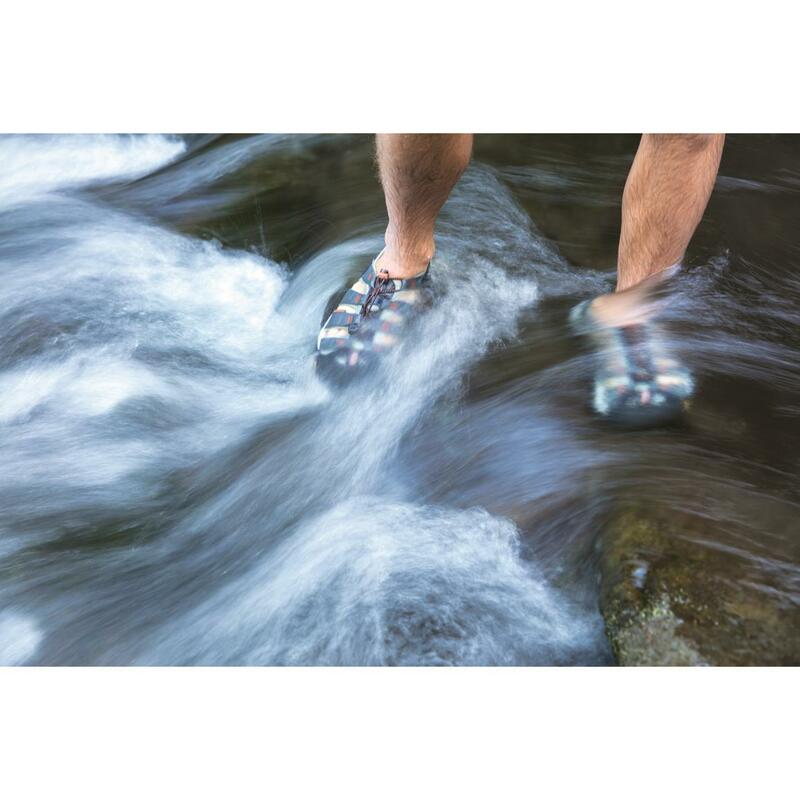 This is particularly helpful when wearing the sandals underwater, where you may not be able to clearly see obstacles. 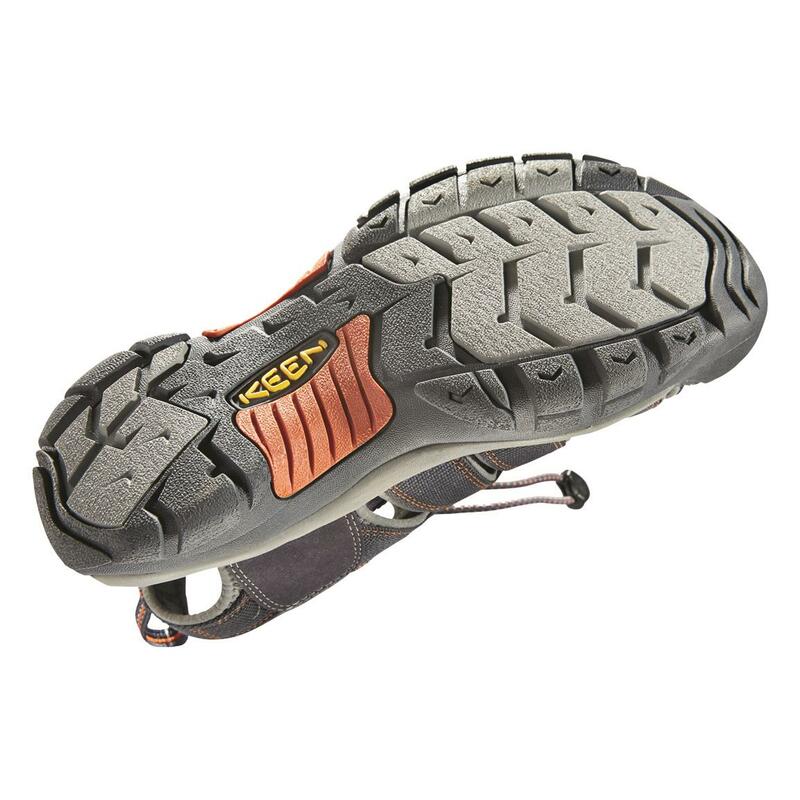 Rugged outsole with multi-directional lugs and razor-siping provides sure-footed traction across various terrain, wet or dry. 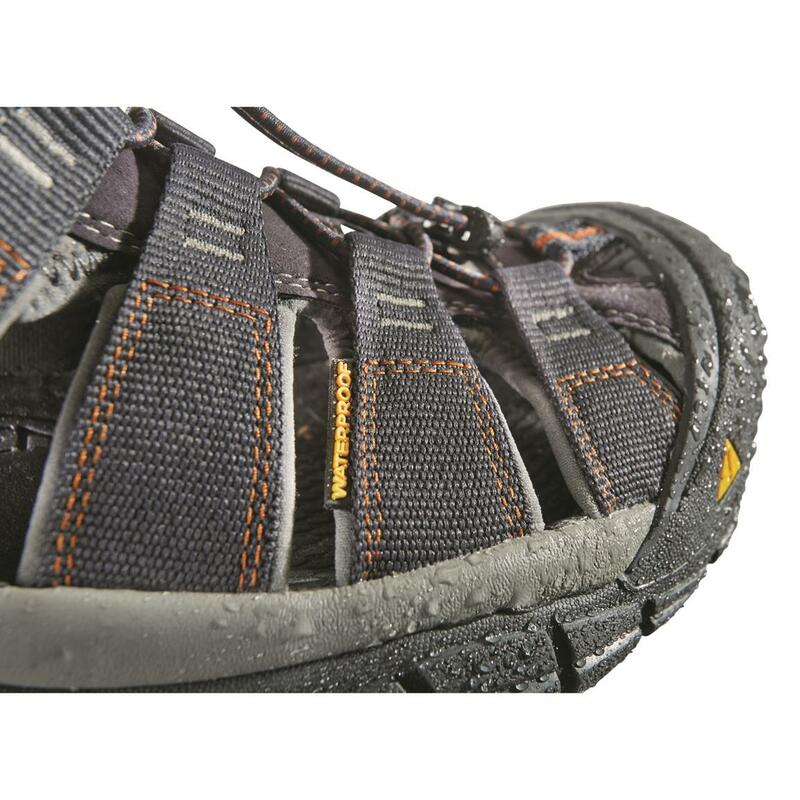 Plus, they feature waterproof polyester webbing uppers and smooth mesh lining that dries fast to prevent that sopping, weighed-down feeling. Regular sandals simply are not designed like that. By land or by sea. Or lake. Or river. 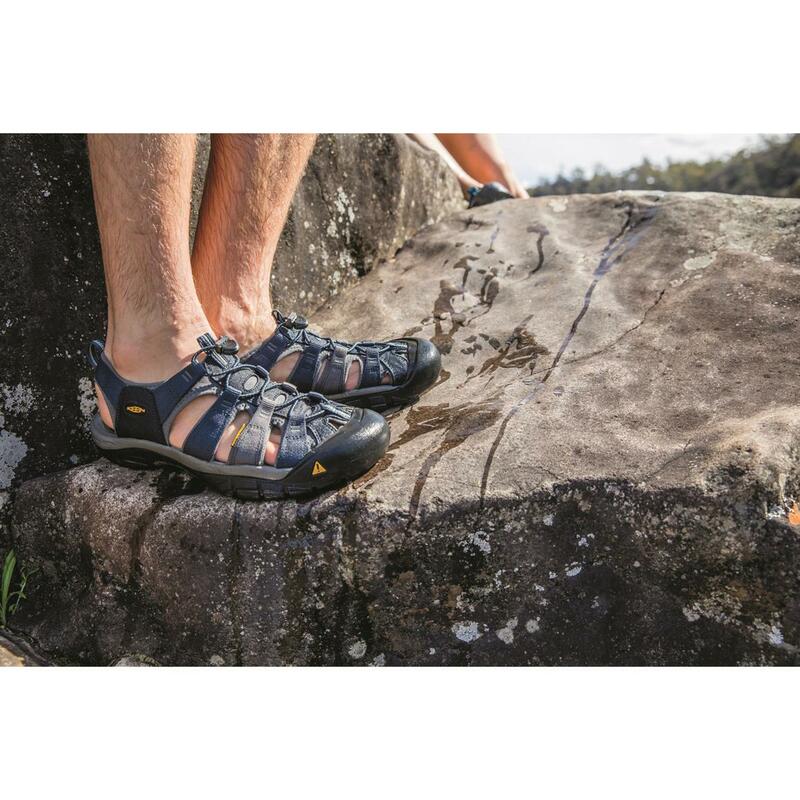 Beyond being rugged, KEEN Newport Sandals are also highly versatile. 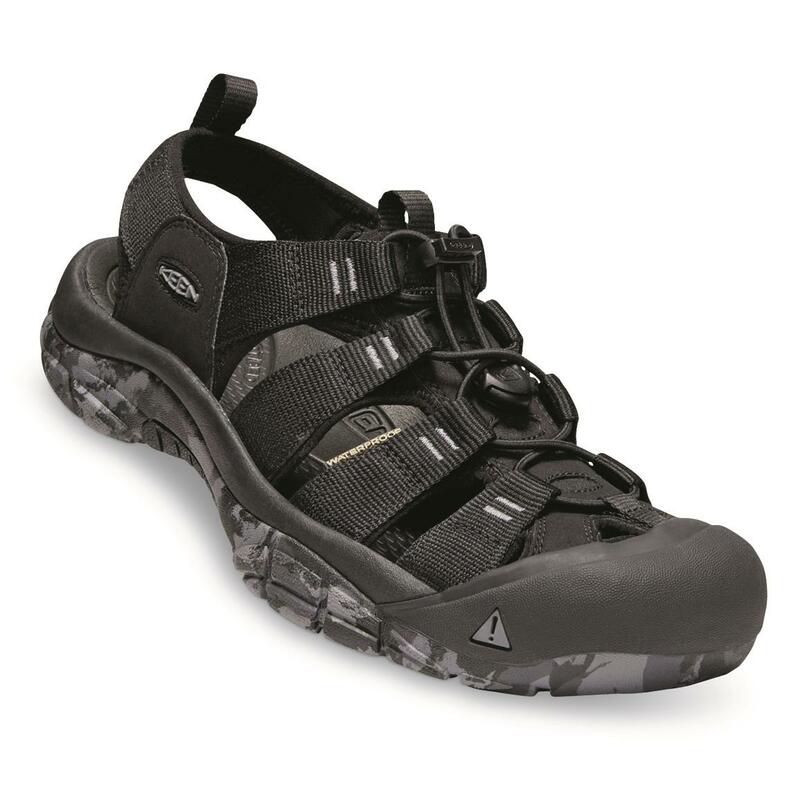 You can wear them as water shoes, heading into lake to retrieve your catch or walking across rocks that extend out into the ocean. 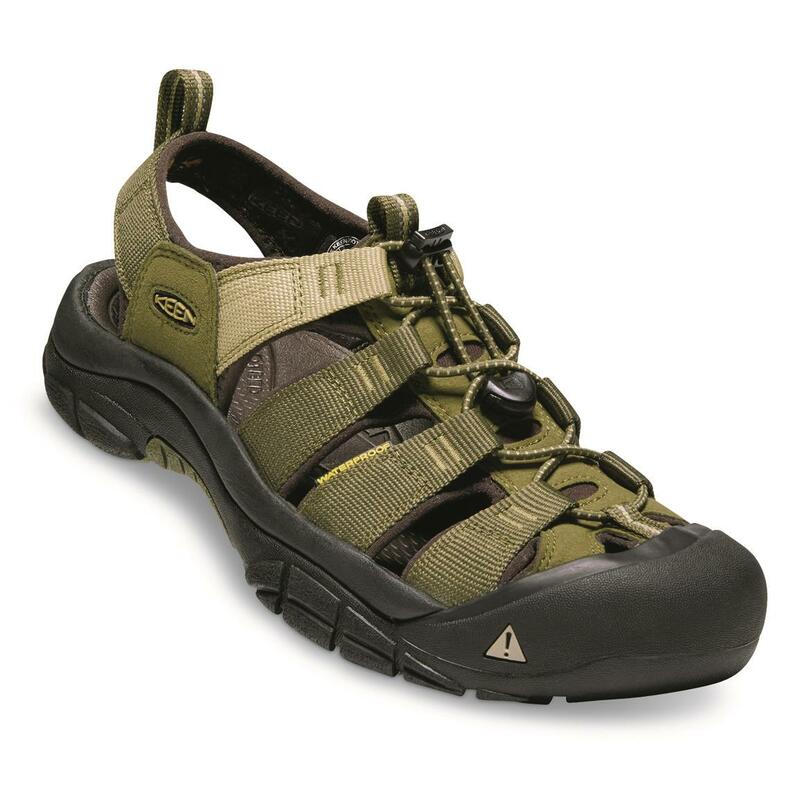 But they are also durable enough to function as breathable low hiker shoes, rugged enough to traverse the miles. And you can go ahead and add comfortable to the list of adjectives that describe these Sandals, thanks to a micro-suede-lined metatomical footbed that's engineered to support all along the contours of your foot. That especially includes your arch. And with the lace capture system, getting a comfortable fit is a cinch. Literally. 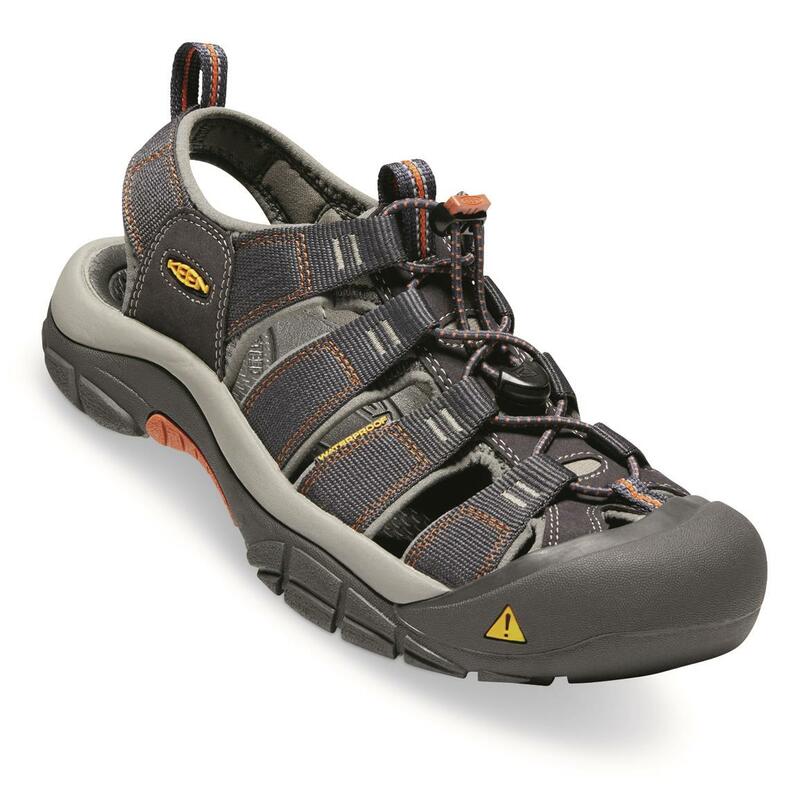 Note: KEEN® states these are running a half size small. Order a half size larger than your usual size. 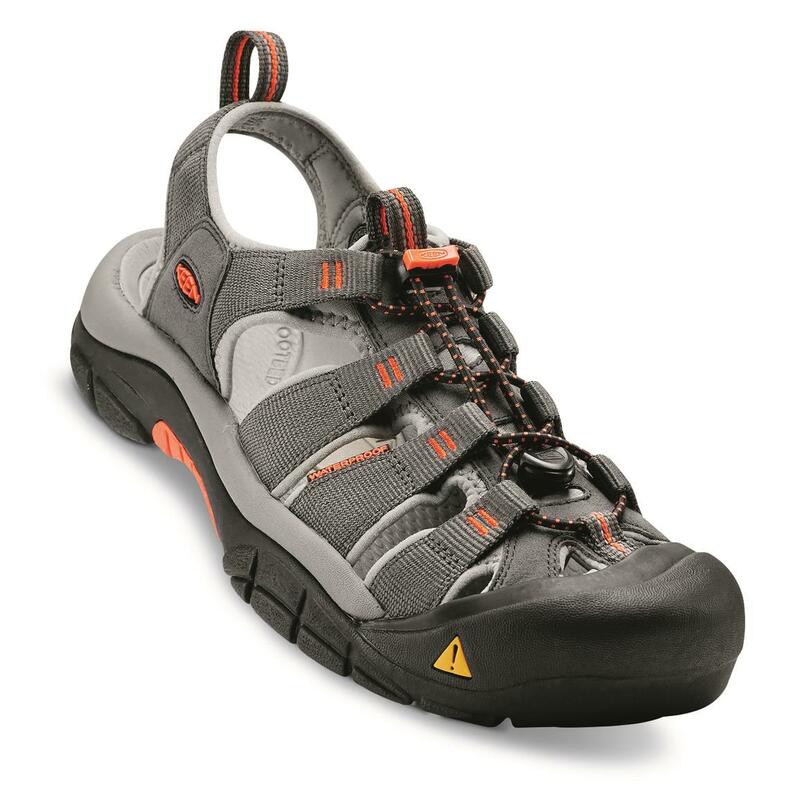 KEEN Mens Newport H2 Sandals is rated 5.0 out of 5 by 2. 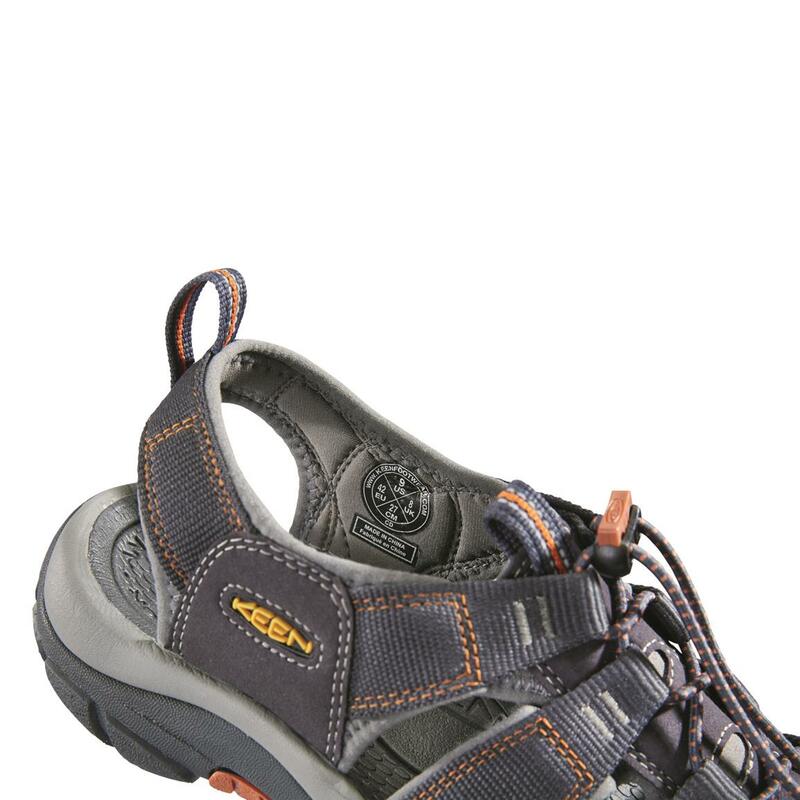 Rated 5 out of 5 by Festus33 from Tough to beat This is my second pair of Keen Newport H2's. My first pair lasted 12 years! 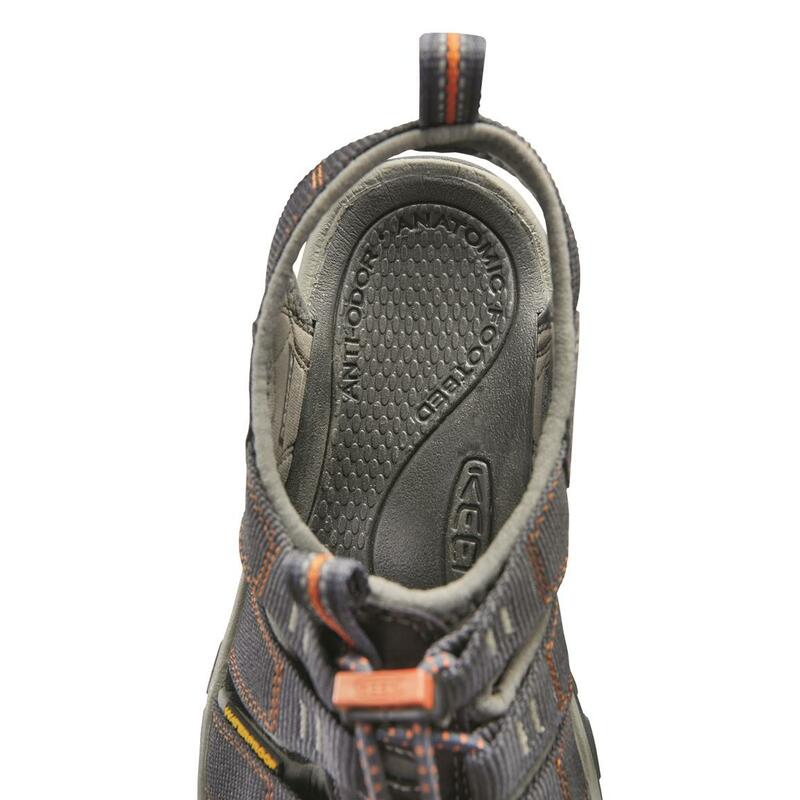 They are durable, comfortable, and a great price from SG. $70 is as cheap as I've seen them anywhere. Highly recommend!